What is a gene, and what is it for? The gene is a fundamental concept in biology, and it has been since Mendel introduced it in the late 19th century, unbeknownst to Darwin, who was just at the same time looking for a theory of heredity, flirted with Lamarckism, and tiene came up with his own, incorrect, notion of blended inheritance. One of the first things Bromham clarifies in his commentary is that common locutions such as “gene for bowel cancer” are nonsense. This is because of course genes don’t evolve (usually) to harm their carriers. What typically happens, though, is that we identify a gene when it misfire (say, contributing to causing bowel cancer), even though its normal function is something entirely different. It would be like trying to understand how cars work by studying when they break down and concluding that the brakes are “for” smashing into other cars when they unexpectedly cross your path. Bromham correctly argues that one problem is that there is no common, i.e., non-technical, term to identify gene variants (the technical word is “allele”), so that people can make more sense of statements from doctors and other health care professionals: “So in most people the Huntington Disease gene does not give them Huntington’s Disease, only those people unlucky enough to inherit an allele of the gene with more than 40 repeats will get the disease.” Which means that people shouldn’t worry about whether they carry the gene “for” Huntington’s, but rather whether they have inherited a particular, lethal allele of a gene that does whatever it does when it works properly and causes Huntington’s when it doesn’t. One of the complications is that sometimes blocks of cistrons (known as “haplotypes”) are inherited at once, perhaps because the individual genes making up the haplotype contribute to a particular biological function and natural selection therefore favored their inheritance as a larger, coherent unit (a “supergene”). Then again, sometimes natural selection surprises biologists, as in the case of the mimicry in some species of butterflies, such as Papilio polytes. Their mimetic phenotype is the result of a coordinated action among a number of genes, so for a long time scientists thought these genes must be part of a single haplotype block and be inherited together, to maintain coordination. But no, it turns out that the whole shebang is orchestrated instead by a regulatory gene, known as doublesex, which sends signals to all the other genes involved in the production of the mimetic phenotype. No need for a supergene, if the work can be done by a single regulatory element. As Bromham summarizes it: “Uncovering the rich complexity of gene action has not dissolved the mendelian gene, but it has disassociated the mendelian gene from any particular form of DNA sequence.” Moreover, there are genes whose influence is actually dependent on epigenetic factors, as in the case of the GNAS complex, defects in which are associated with a number of diseases in humans, including certain kinds of tumors. Some of these deleterious effects, however, are manifested only if the GNAS allele is inherited from the mother, while others take place only if the variant is inherited from the father. Not exactly a standard Mendelian factor. For instance, the above mentioned GNAS is actually a complex made of a whopping 17 different exons (transcribed units). The complex is controlled by a number of regulatory sequences, which cause differential “splicing” (i.e., different cuts off the larger molecule, resulting in different proteins after translation from the intermediate RNA). Some of these spliced versions are inherited maternally, other paternally, and yet others biparentally. Moreover, one of the exons can be “read” by the transcription enzymes in two different ways (two “reading frames,” in molecular biological jargon), resulting in two distinct proteins. What, exactly, constitutes a gene in the case of the GNAS complex? Then we have the “reactive genome,” that is the ensemble of the gene that codes for a given protein plus the regulatory sequences that control when and where during the development or life of an organism the gene gets transcribed and then translated. This is affected by the environment, a term that includes not just the external conditions in which the organism happens to live, but also the intra-organismal one, such as which cells surround which others, their communication channels, and so forth. The last two sections of the paper address interesting questions concerning which I think Bromham comes across as reasonable but perhaps a bit too conservative. The first one is dedicated to the issue of epigenetic inheritance. This is by now definitely a well established phenomenon in a number of organisms, but Bromham is right that the jury is still out there in terms of its long-term evolutionary significance. 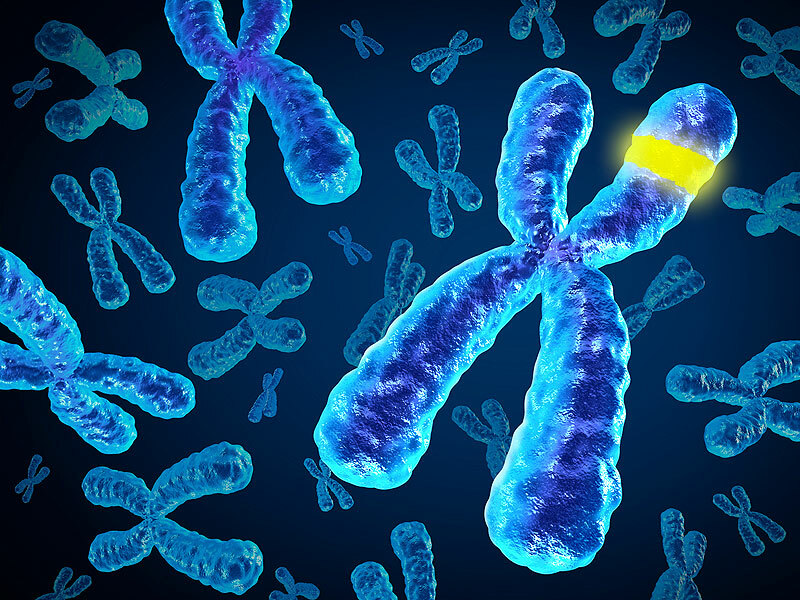 Most epigenetic variants are relatively short-lived, influencing phenotypes over the span of a few generations, very brief when compared to the stability of genetic sequences, whose shared ancestry is recognizable in organisms that have diverged for millions or even tens of millions of years. My take on this is that we have evidence at the moment that epigenetic inheritance can influence the short-term response of natural populations to environmental changes, but that long-term stability of phenotypes is encoded only in the DNA. This, however, doesn’t make the import of epigenetic factors negligible, since after all evolution happens one generation at a time (“evolutionary time” is simply the cumulation of a number of short moments), and because the epigenotype constantly interacts with the genetic system of inheritance, in highly non-linear and complex ways. The last section of Bromham’s commentary concerns the so-called Extended Synthesis, the new version of evolutionary theory that some people (including yours truly, duly cited by Bromham) have been put forth in recent years, contrasting it with the standard Modern Synthesis. In my mind, “Extended” actually means something in between those extremes: neither trivial (like the first one), nor revolutionary (like the second one). But I’ve already explained my take on the ES vs MS debate elsewhere, so I will refer readers to that commentary. This entry was posted in Philosophy of Science on June 27, 2016 by Massimo. Is the 79K protein coding gene’s explained some where in that link? It’s a interesting, but I don’t see what i’m trying to understand about relation of gene’s to nuber of proteins.